Movies in the Park starts tonight. Summer is still a few weeks away, but now that Memorial Day is over we’re starting to see the signs: First, Alive After 5 started on Wednesday. Tonight, Idaho Falls Parks & Recreation is launching its Movies in the Park with Disney’s "Planes – Fire & Rescue" starting at Tautphaus Park at dusk. Bring your camp chairs, blankets, flashlights and snacks. Bill’s Bike & Run will be giving a free bike away at every movie. They will also run a complimentary bike valet for anyone riding their bikes to the event. 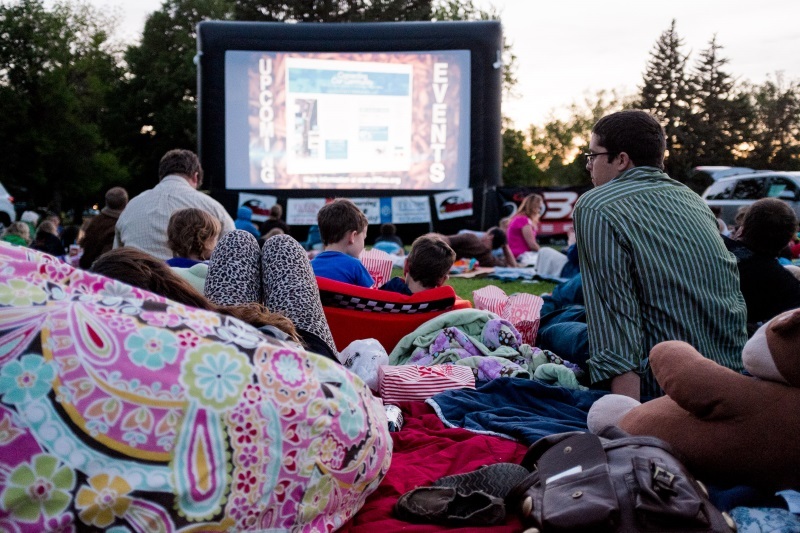 From now until September, Movies in the Park will be held the last Friday of the month at various Idaho Falls parks. Click HERE to see a complete schedule and more information. Movies in the Park is sponsored by Teton Toyota, Bill’s Bike & Run, Eastern Idaho Regional Medical Center, Westmark Credit Union and Riverbend Communications. Tomorrow morning the 2015 Adventure Ride and Scavenger Hunt will start at 10 at the Snake River Landing pier. Riders will be challenged to ride to eight different locations throughout downtown Idaho Falls, Snake River Landing and along the Greenbelt. The challenge will be to visit all locations within a two-hour time period. At each location, participants will receive a raffle ticket. For those finishing the challenge by noon, the raffle tickets can be entered into a prize drawing for prizes, including three bikes. The event is sponsored by Dave’s Bike Shop, Idaho Mountain Trading, BMPO (Bonneville Metropolitan Planning Organization), Bill’s Bike & Run and Idaho Falls Parks & Recreation.